One of my favorite bars and one of my favorite breweries. I received an email from the Armsby Abbey mailing list about this a few months before the event. I immediately booked a hotel room. I knew what I was doing that night. I arrived in Worcester at around noon the day of the event (December 30th 2011). I took a drive through town to take a quick swing by the bar to scope things out. I was expecting people to be lined up/out the door. I mean heck, I drove from NJ to be there and imagined that other people would have done the same. There wasn’t anyone outside, but it still looked pretty busy inside. 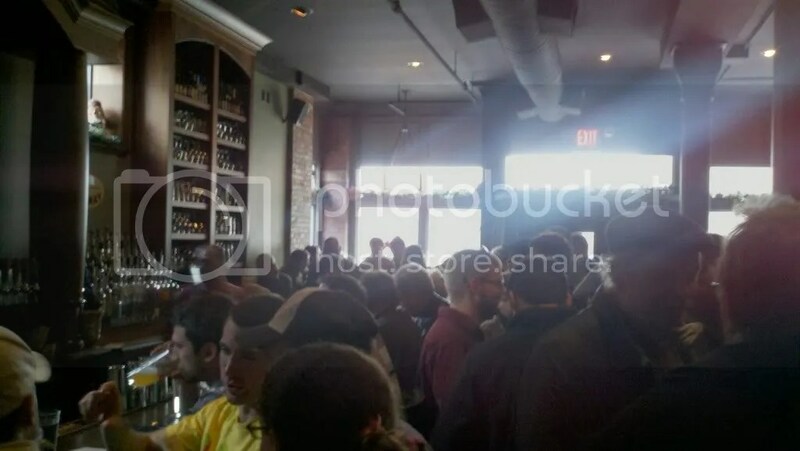 Although the place was packed, the bar wasn’t pouring everything yet. They still hadn’t tapped Civil Disobedience #3 and Birth Of Tragedy. When Shaun Hill showed up an hour later, he did the honors of the first pour, gave them both a taste and then gave the thumbs up to start drinking. 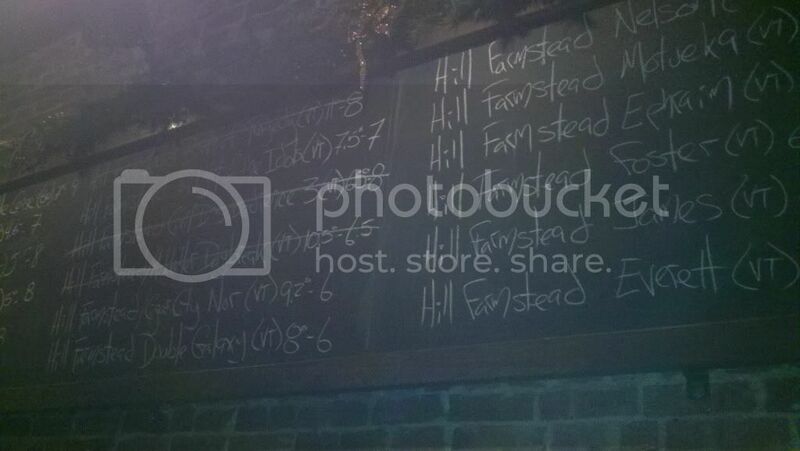 He also brought a ton of Hill Farmstead glassware which quickly found their way around the bar. My friends and I hung around for four hours waiting for a table. Most people who got there early didn’t want to leave. They staked their claims at the bar – most of which stayed there all night. I don’t blame them for not wanting to leave. There were a lot of incredible beers to try at this event and bar real estate was pretty valuable at that part of the night. We finally got our seat and ordered food. By this time I think I was roughly 7 beers deep into this event after the four hour wait. I ordered a few flights and was able to try the rest of the beers which were available. The bar had begun to calm down by this time and they were finally serving the flights again. In total, Hill Farmstead brought 16 of their awesome releases. What I found incredible was that even though there was a fairly decent amount of their Porters and IPAs being poured, each beer was still one of it’s own with different flavor profiles showing through in each. The most memorable of the beers poured that night were Birth Of Tragedy, Double Galaxy, and Civil Disobedience #3. All together, it was a great evening. The beer, food and setting were a perfect way to spend one of the last days of the year. I spent over 10 hours there that day talking with fellow beer lovers and having a blast getting dark with good friends. I really hope they decide to do another similar event in the future. This entry was posted in Beer Events I Went To and tagged Armsby Abbey, Beer, Brewing, Craft Beer, Hill Farmstead, Hill Farmstead Brewery, Hops, Worcester. Bookmark the permalink.